Most people call them ships and boats, but sailors and model makers have much more specific ways of describing sailing vessels. Here is a very brief introduction to the nomenclature of ships and their models. 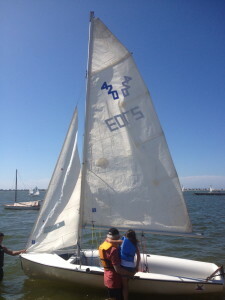 A sloop-rigged vessel has a single mast with a fore-and-aft sail arrangement. 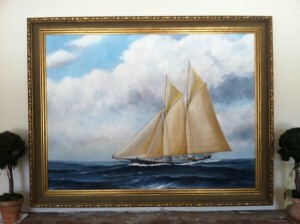 The picture on the left shows a small sloop, what most of us think of as a sailboat. A schooner-rigged vessel has two masts with fore-and-aft sails. 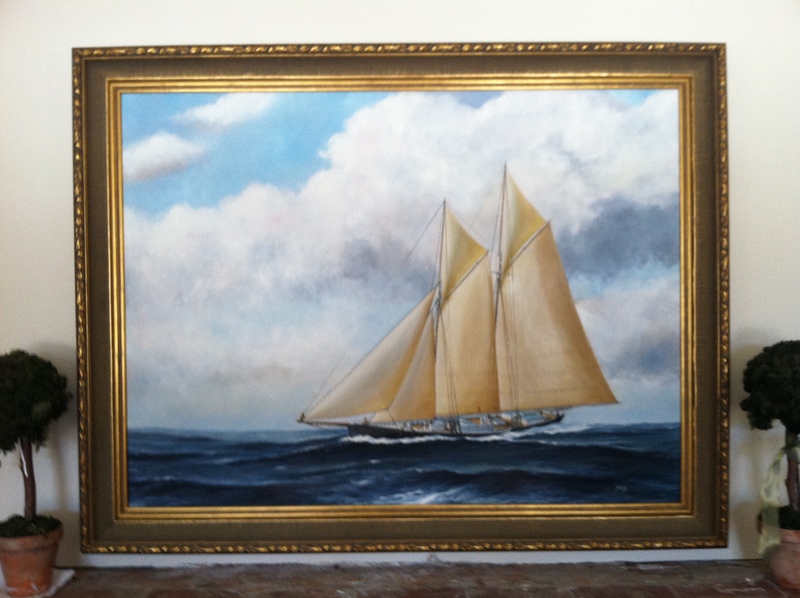 The picture in the middle is Fred Bender’s painting of a large schooner. A ship-rigged vessel has three masts with square sails which are arranged perpendicular to the length of the boat. The picture on the right is the New Bedford Whaling Museum’s model of a medium-size whaling ship, the Lagoda. Exceptions to these descriptions are the rule, while variations of the above will distinguish other rigs, such as ketches, barks, brigs, etc. 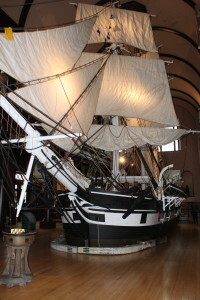 Colonial vessels also were described by their purpose, gun placement, and other features. That’s simply too much information to absorb at this stage. Learn these three basic rigs and you’re on your way to learning all that you need to know for now. Next, look at the pictures so that you can familiarize yourself with three model-building construction terms: solid-hull construction, plank-on-bulwark construction, and plank-on-frame construction. 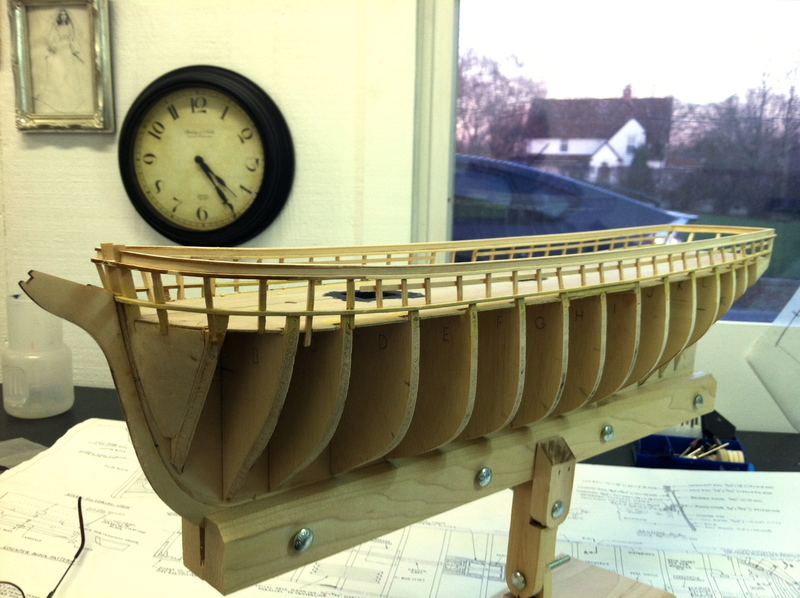 The schooner (left) is being built as a solid-hull model, which means that the hull is either carved from a solid piece of wood or built up into a solid hull in wood layers. Sometimes, a model-maker will apply planks to a solid hull to achieve more realism in larger scale models or if the model is to be stained. This requires a modification of the plans to assure accuracy in the shape and dimensions of the hull. It may seem counter-intuitive, but I find it more difficult to build a solid hull model than other types of models. 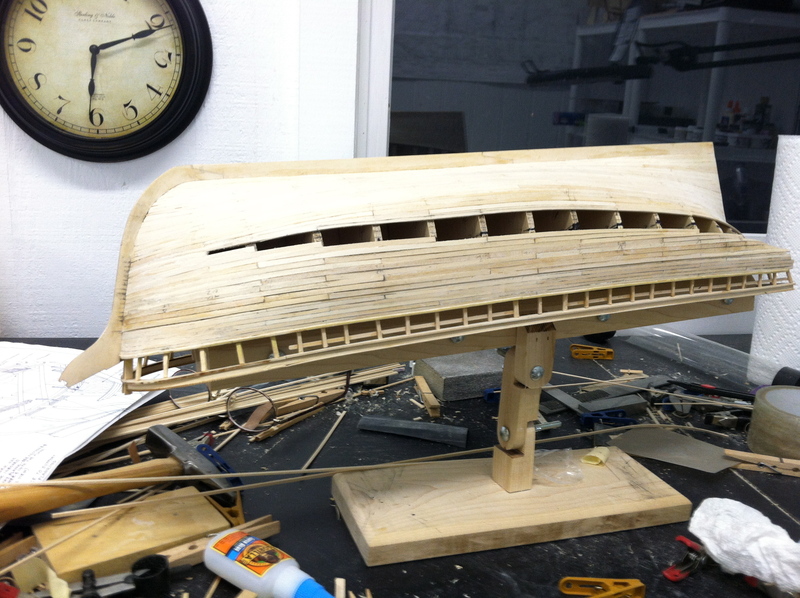 However, it takes less time to finish a solid-hull model if planks are not being applied. My model of the most famous whaling ship, the Charles W. Morgan, is being made using plank-on-bulwark construction. In the picture to the left, the bulwarks are the wooden frames that create the ‘skeleton’ on which the planks are individually applied. Applying the planks individually provides the plank-on-bulwark model with an additional element of realism if it is painted and a distinctly appealing appearance if it is stained. 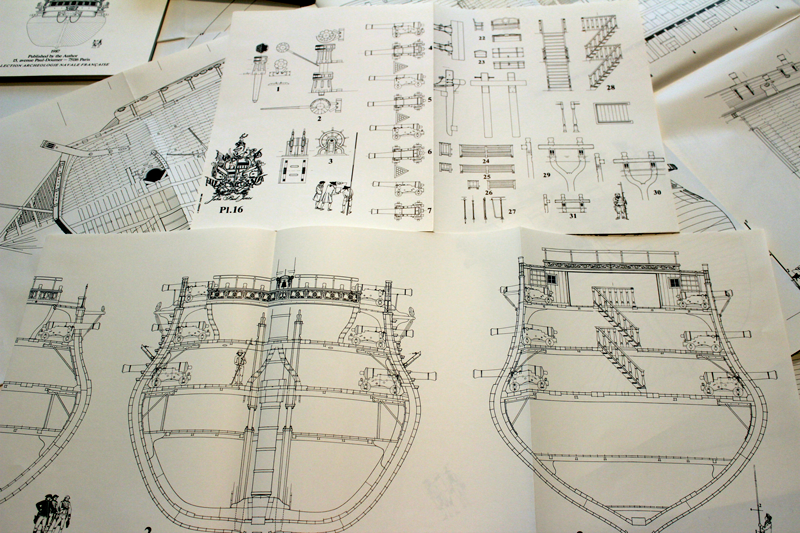 From my perspective as the model-maker, fewer bulwarks mean less work in assembling the skeleton of the model, but more work in getting the right shape for the hull. My model of the Bonhomme Richard will be built as a plank-on-frame model. Look at the picture at the left and you will see the plans for the frames of a plank-on-frame model; as soon as I get to this stage in the building of my model, I will add the pictures. Plank-on-frame construction is the most time-consuming method of building a model, even though it makes the planking of the model much easier (I’m speaking for myself here). Plank-on-frame construction is also essential if you want a model that shows the inner construction of the ship, as in an admiralty model. Models can be painted or stained. I am using three museum models, which I did not build, to illustrate the difference. 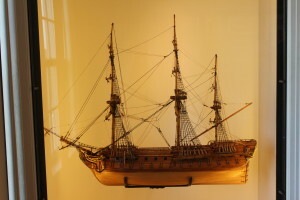 Painted models are made to look as close to the original ship as possible. The painted model of a whaling ship (right) is one of Mystic Museum’s models of the CharlesW. Morgan. The finish on a painted model can be aged so that it looks even more authentic. Stained models have the same detail as painted models, but have a natural wood finish to which a stain or other finish is applied. 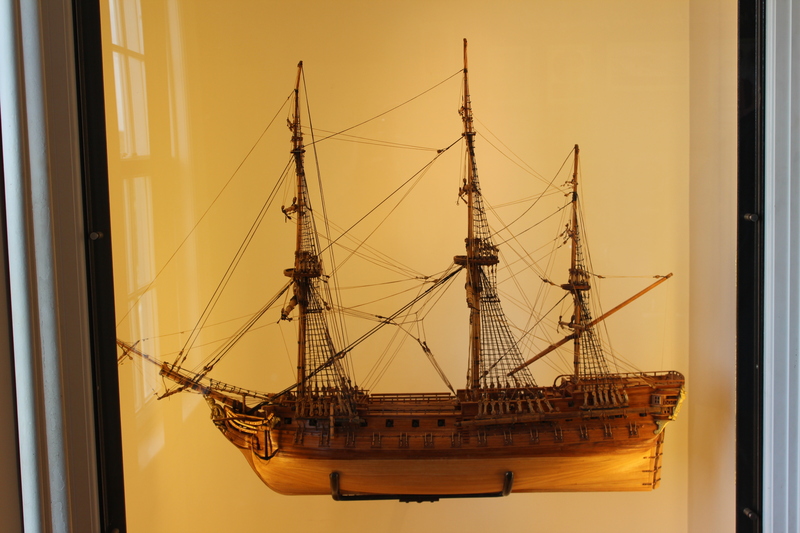 This beautiful stained model (left) of a large ship, the H.M.S. Culloden, is at the Montauk Light House Museum. The Culloden, which was one of the largest ships to patrol the waters of Long Island during the Revolutionary War, ran aground off the coast of Montauk, New York in 1781. 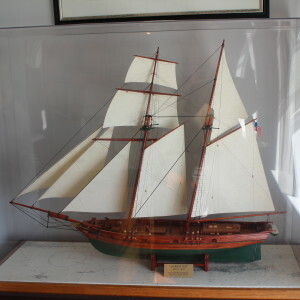 There even are models that are both painted and stained, like this model of a large schooner, the Amistad, which is also at the Montauk Light House Museum. Notice the nice use of sails, which add immeasurably to the beauty of the model. 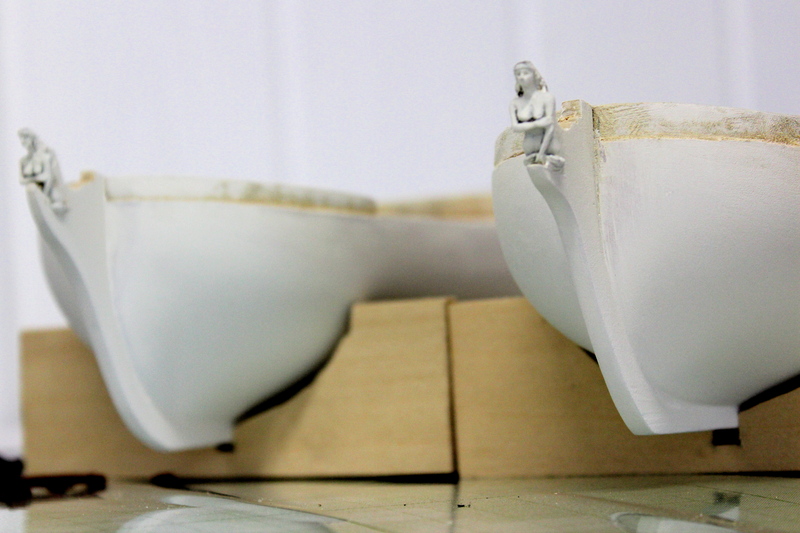 Now you know that to choose a ship model, you must decide on the rig, the construction, and the finish. 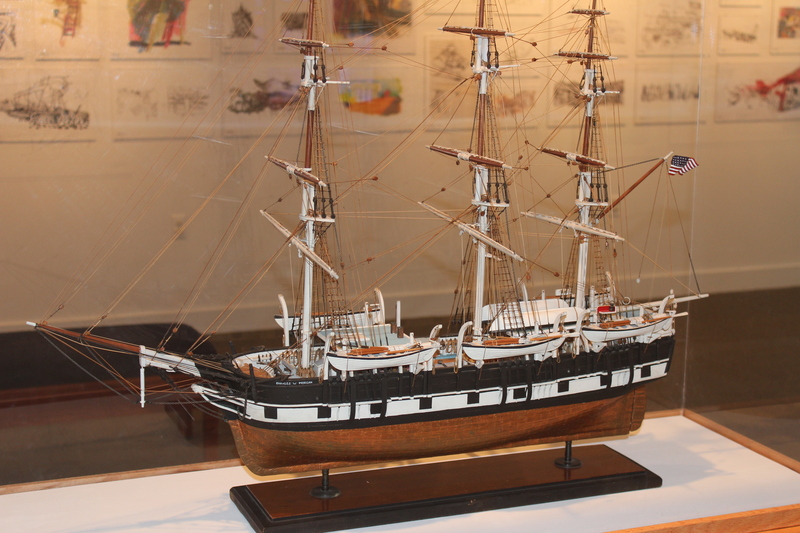 In Ships and Their Models 102, learn about historical significance of the ship models.